Are you killing yourself trying to blog five times a week. I’ve been there. For me, writing articles almost every day wasn’t sustainable, and from what I’m learning, it may not ultimately be the best strategy for ranking high in the search engines. 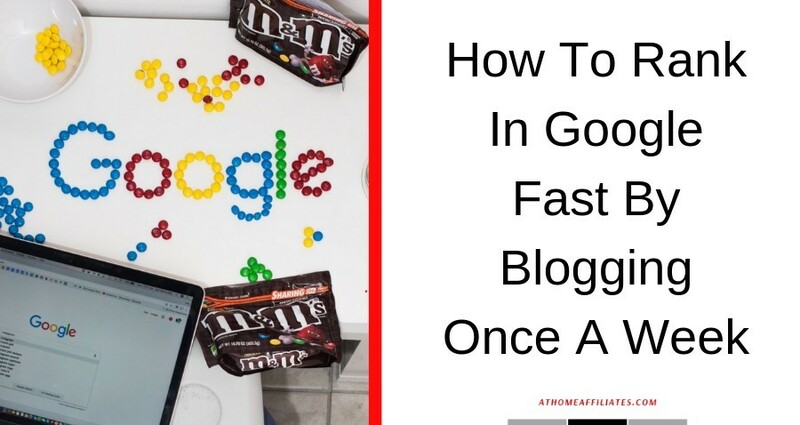 Keep reading if you’d like to simplify your life by learning how to rank on Google fast by blogging once a week. Most of us bloggers have been taught that the more we blog, the more traffic we’ll have, the faster our businesses will grow, and the more money we’ll make, but is this necessarily true? What if I told you, you could blog less and market more, and still see growth in your business. Now this doesn’t mean you can cut corners with your content. You’ll still have to be consistent in producing exceptional blog posts every single week with targeted keywords. You can never skimp on content creation. The goal is to spend more time, then you’ve previously spent, promoting your content using the free tools below. I invite you to try this strategy for a month to see how it works. While doing so, keep an eye on your analytics to note any changes that occur in your traffic and conversions. I don’t know about you, but promoting more and writing less is an appealing notion. Think about the time you could save every day by not feverishly trying to crank out another article, but instead put forth that effort into a targeted marketing strategy. Google Search Console (GSC) is an incredible free tool that will give you access to a ton of relevant information relating to your website. Since Google is the most powerful search engine, you’ll want to leverage this power by letting GSC track your website’s performance. See which keywords your site is ranking for, the position of each of those keywords, and the number of clicks each one is generating. You can also learn which of your posts are the most popular, and then capitalize on that information by promoting that post in social media or on your blog. Keywords are critical because they drive traffic. GSC is a great way to determine which keywords you’re ranking for, and then use those keywords to create compelling titles. Amazing titles lead to more clicks, more traffic, and more conversions. It’s crucial to write high-quality, long-form content that is keyword rich. Did you know the majority of people will read your headline, without bothering to read the remainder of your post? However, if the title is engaging, people are much more likely to read the rest of your article, driving more traffic to your site. Don’t underestimate the importance of great headlines. They’re the portal to getting your content read. Coschedule Headline Analyzer is an awesome tool to have in your marketing toolbox because it will help you write headlines viewers will want to click on. It’s easy to use, simply type in a title, enter some basic information, and view your results based on the grammar, structure, and readability of your headline. When I typed in a headline I wanted to use, the analyzer suggested I use more emotional words, which would improve my title. This tool is free to use for two weeks, doesn’t require a credit card to try it out, and you can cancel at anytime. Content Idea Generator is completely free to use, but does require that you register first. Enter your first name and email and you’re good to go. Sometimes the hardest part of writing a good article is figuring out what to write about in the first place. This is why you want to utilize Content Idea Generator to brainstorm ideas for all your blog posts and social media content. You’ll be asked to provide answers to 18 questions, after which you’ll be presented with 300 unique suggestions for articles and any other content you’re writing. Get started with Content Idea Generator today. Push notifications are a great way to allow website visitors to subscribe to your blog. Browser notifications work on Chrome, Firefox, and Safari, and the best part is Subscribers is completely free to use. In fact, they don’t even offer premium plans. It only takes a few minutes to set up a notification, and then every time you release a new post, you can use this software to send a quick message to your subscribers to notify them of your content. Using Subscribers push notifications is a great way to grow a following. Website speed is pivotal to the success of any online business. PageSpeed Insights let’s you assess how your website is performing in terms of page loading speeds. It does this by analyzing the content of your website pages, along with suggestions to optimize your speed. You’ll be provided with information for both desktop and mobile devices. As you can see in the screenshot below, website speeds over 90 are considered fast, and speeds below 49 slow. Of course, the goal is to get a score of at least 90. You can greatly improve the performance of your website by implementing the suggestions offered. The goal of PageSpeed Insights is to have your website pages load well for the majority of internet users. If you can get a speed score of 90 or above, that means your pages are performing at a minimum standard for the most difficult network conditions and devices. Keywords Everywhere is an exceptional free tool you can use as a browser extension to find exact keywords and long-tail phrases people in your niche are looking for. It’s easy to install and works for either Chrome or Firefox. You’ll see an orange K icon in your extension bar once it’s installed. You’ll then be able to view keyword search volume, competition data for keywords on multiple websites, and cost per click information, along with how many viewers are searching for not only your keywords, but similar keywords as well. Websites that Keywords Everywhere supports, includes Google, Google Search Console, Google Trends, Google Analytics, Google Keyword Planner, eBay, Etsy, YouTube, Amazon, Soovle.com, Majestic, UberSuggest, AnswerThePublic, and Moz Open Site Explorer. Ever wondered which of your articles and videos are getting the most shares? Well, now you can with Buzzsumo. Glean data regarding your Facebook engagements, Pinterest, Reddit, and Twitter shares, number of links, and your Evergreen score. You can also view your backlinks. The content analyzer helps you understand the type of content that’s performing well in your industry, as well as an analysis of your competitors’ content, along with insights into your domain. You can also type in relevant keywords from your recent blog posts to view similar articles on the web. I use each of these tools to promote my affiliate marketing business. 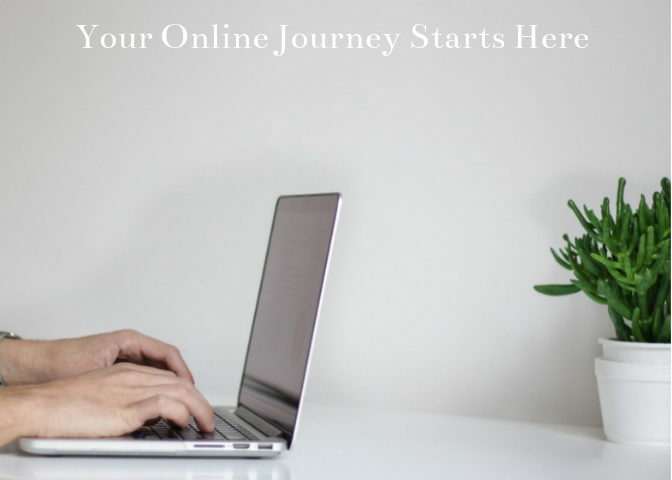 If you’ve been looking for an opportunity to make money online, please read my review here of how I got started running an online business. It’s free to get started. Click the link below if you’d like to learn more. Let’s change our thinking around the notion that more content automatically means better rankings and more traffic. What will change the trajectory of your business is how you choose to market the content you spend so much time creating. The bottom line is to not let your writing crowd out promotion. If you try to write every single day, you may eventually burn out. Spend two to three times more time marketing your content than you spent writing it. Incorporate this formula: “write less, market more,” which may be the perfect strategy you’ve been looking for to scale your business. How often do you blog per week? Would you like to blog less? Please share your questions and insights below. This is probably the most detailed and applicable post that I have read on how to rank in Google fast. You have provided so many tools and I am going to try out some of the tools you mentioned, especially the Keywords Everywhere. I also learned today from your post about how many blog posts to write, which I will take your advice to focus on quality, writing keyword rich, good content and promotion. Thank you for sharing and I have book marked your post for future reference. Thank you Jeffrey. Do try out the tools. You’ll like using Keywords Everywhere. All of the tools have helped me in my business and will help you as well. I appreciate you bookmarking my site. I have been made to believe that I would need to blog every day with a post of at least a thousand words to rank high on the search engines. I find that very unsustainable especially for someone who is just starting. This is the first time I’m hearing a different view on how frequent one should blog in other to rank high on Google search engine. I’m hearing of some of the free tools here for the first time. I will study how I can apply them to my website. I have bookmarked this post for future reference. Yes, that’s what we have been led to believe. I know some people who blog four and five times a week. I’m not one of them. It’s unsustainable to me as well. Blogging is great but not at the expense of promoting that content. Thanks for reading and commenting. I have also had this belief that one needs to write less and promote their content more as I believe it can lead to better and quicker rankings. I do create contents three times a week and use the other time to optimize the content while I update my social media accounts. I plan to start marketing my content more than I actually create as I feel it is going to lead to better and faster rankings. Writing less frequently, while promoting your content more, is not only good for your business but for your health as well because it won’t lead to burnout. Thanks for taking the time to comment.